Cute Chriistmas video for the kids. “Yeah, that’s right,” exclaimed the fifth man, “I only saved a dollar, too . . . It’s unfair that he got seven times more than me!”. The nine men surrounded the tenth and beat him up. The next night he didn’t show up for dinner, so the nine sat down and ate without him. But when it came time to pay the bill, they discovered, a little late what was very important. They were FORTY-FOUR DOLLARS short of paying the bill! Imagine that! From The IT Crowd, it’s the most brilliant UK show. See more here. Clever reengineering of song lyrics. Richard Nixon, Jimmy Carter, and Bill Clinton are on the Titanic. Isn’t that what they call ex-presidents (or what they call themselves?)? One of the best bands ever, see more here. 1. He designed the Queen emblem (AKA the Queen Crest) himself, thanks to a degree in art and graphic design from Ealing Art College. The crest is made of the zodiac signs of the whole band – two Leo lions for John Deacon and Roger Taylor, a Cancer crab for Brian May and two fairies to represent Freddie’s Virgo sign. The “Q” and the crown represent the band name, of course, and a phoenix protects the whole thing. 2. 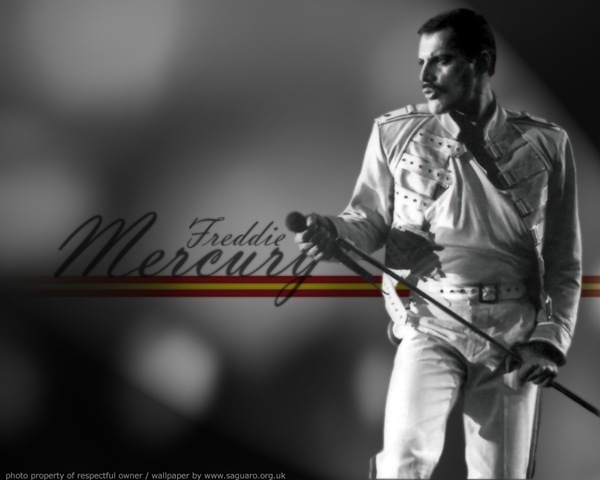 His birth name was Farrokh Bulsara; he started going by Freddie when he was at St. Peter’s, a boarding school for boys near Mumbai. 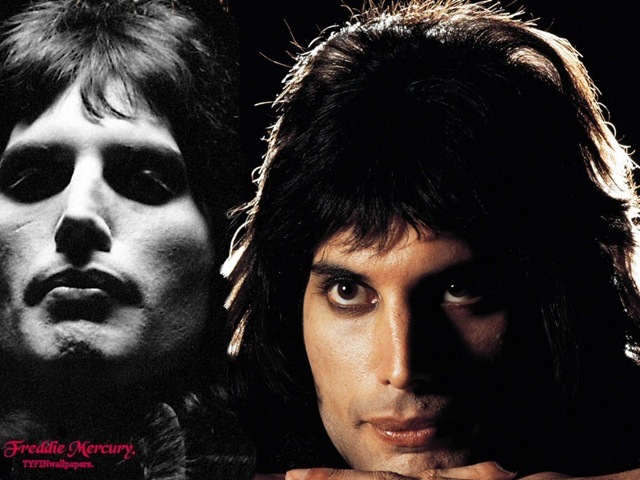 He legally changed his name to Freddie Mercury around 1970, when Queen was formed. 3. He and family (parents and one sister, Kashmira) were Parsis and practiced Zoroastrian religion. Even though he hadn’t practiced in years, his funeral was performed by a Zoroastrian priest. 4. Freddie was born in Zanzibar – his family moved there so his dad could continue his career at the British Colonial Office. 5. 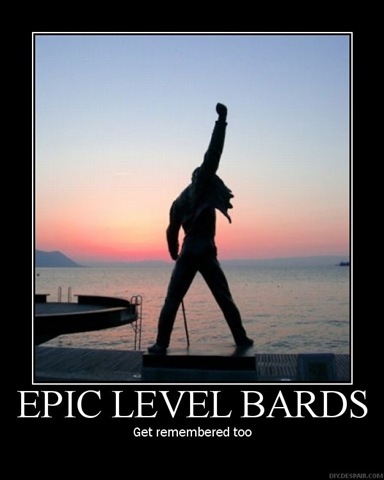 Freddie had a recorded range of three (almost four) octaves. Mariah Carey claims five, for some perspective. When he spoke he was more of a baritone, but majority of his singing fell in the tenor range. 6. He had a long-term girlfriend in the early 70s named Mary Austin. Even after they broke up, they remained incredibly close. He gave an interview in 1985 and said that she was his only friend and he didn’t want any other friends. He wrote “Love of My Life” about her and was the godfather of her first son. When he died, he left her most of his money, his house, and his recording royalties. 7. Although he was obviously very flamboyant on stage, most people who knew him intimately said he was very shy in his personal life – one of the reasons he very rarely granted interviews. 8. Freddie and his manager issued a statement confirming that he had AIDS the very day before he died. 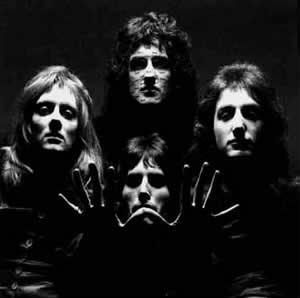 It had been widely speculated for a couple of years due to his gaunt appearance and Queen’s sudden lack of touring. Some people were very upset by this delayed statement, saying that an earlier announcement could have raised a vast amount of money for the cause. 10. The “bottomless mic” was among Freddie’s many trademarks. 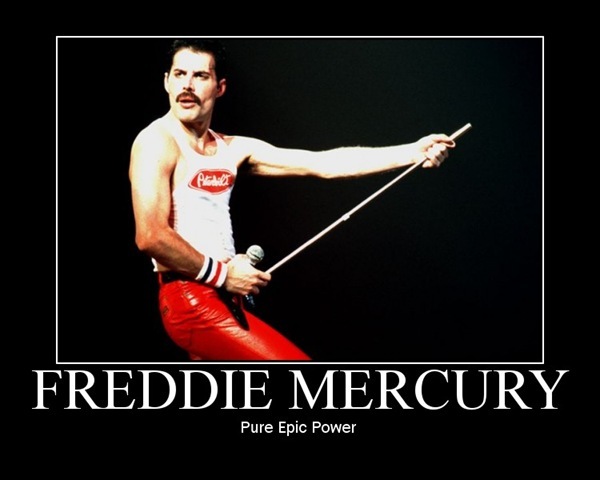 Here’s how that happened: early in Queen’s career, he was apparently mid-show when his mic stand snapped in half. Instead of having it replaced, Freddie just used it as-is. He must have liked it, because he used the mic “stick” from then on.